My very good friend Kevin McCabe of Cardiff Martial Arts tested out a little language experiment recently. He asked around 100 of his students to supply information, adding the word “don’t forget”. He got around 30-40 texts/calls/emails asking him to remind them of the details. A few months later, to a similar size group, he asked for information, but this time added the words “please remember”. The result; 10-20 texts/calls/emails asking for a reminder! Less than half of his original sample. The brain is very helpful and deletes the negative. By saying “don’t forget” you are unconsciously programming the brain to do just what you don’t want it to do – forget. 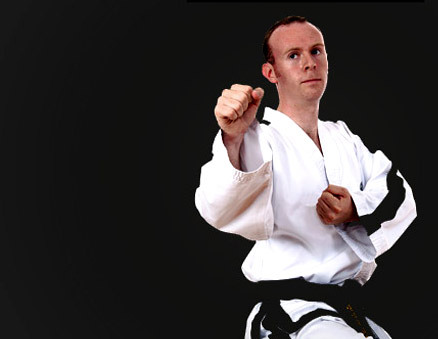 Kevin’s website is http://www.cardiffmartialarts.com/ and he is currently Taekwon-do European Champion & Silver medallist at the World Championships. When I train about eye accessing clues one of the things I emphasise is to look for behavioural clusters and that everyone is different. I’m also interested in why the research wanted to ‘disprove’ NLP; NLP is a collection of ideas and theories on why people act and react in the way they do. Proving or disproving one facet doesn’t seem to achieve anything in particular. Or so I think, anyway.